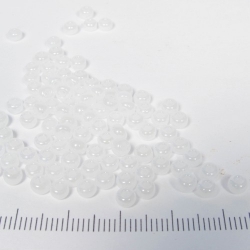 4 mm glass beads There are 15 products. Glass seed beads, 4mm (size 6/0) in various colours. Most of these can be used with rings with a wire diameter of up to 1,2 mm. Glow in the dark glass beads, 4 mm, 100 pc. Pearly white glass beads, 4 mm, 100 pc. 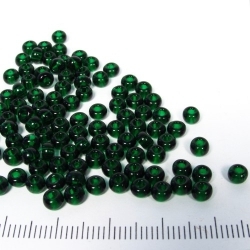 Dark green glass beads, 4 mm, 100 pc.